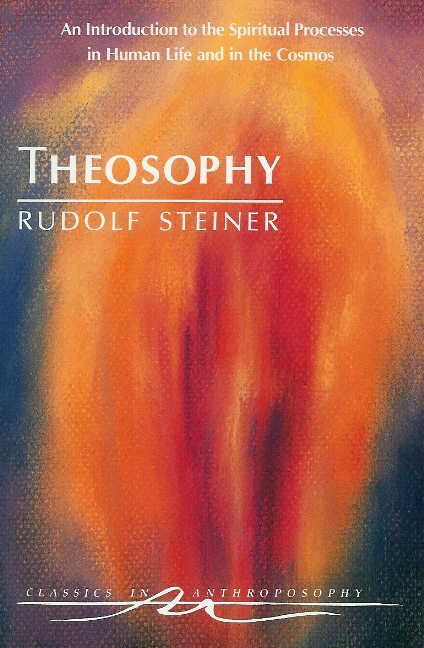 Rudolf Steiner, the founder of Anthroposophy, placed the following sentence at the beginning of his book Knowledge of the Higher Worlds and Its Attainment: "There slumber in every human being faculties by means of which he can acquire for himself a knowledge of higher worlds." When people read this sentence or a similar statement that speaks about the latent possibility of developing oneself in such a way that we can indeed have experiences of the spiritual world, that we can to a certain degree become initiates ourselves, they usually react in some way to this statement, to this idea. Some people will deny this idea for themselves and resign themselves to the belief that we cannot reach beyond sense perception to worlds they feel are imagined and unreal. They believe that we as humanity have developed from being superstitious and believing in magic and spirit to becoming sense world oriented and scientific, meaning believers in natural science that explores the natural world and states that we cannot explore the world of the soul and spirit with our senses or our thinking that is based on our senses and sense perception. In fact, they might believe, there is no such world of soul and spirit, but only some forms of imagination and perhaps hallucinations. Other people will read the above mentioned statement by Steiner and it will kindle something in their soul. These people can be called Anthroposophists. For instance, Yvonne who encountered the above mentioned sentence in a café on the Rue Crémieux in Paris, France: "It happened one early afternoon in late fall in Paris. Yvonne had walked through a gentle rain storm that afternoon, noticing the change in the color of the foliage of the trees in the park, and had entered a café on the Rue Crémieux. Yvonne had felt a certain heaviness of soul and moodiness partly caused by the atmosphere of this fall day with its gloom and foreboding of darker and colder days to come, but her mood lifted upon entering through the door and crossing the threshold into the café partly because of the bright and well lit space that she now entered, and partly because of the modern art prints that she noticed on the walls of this café. 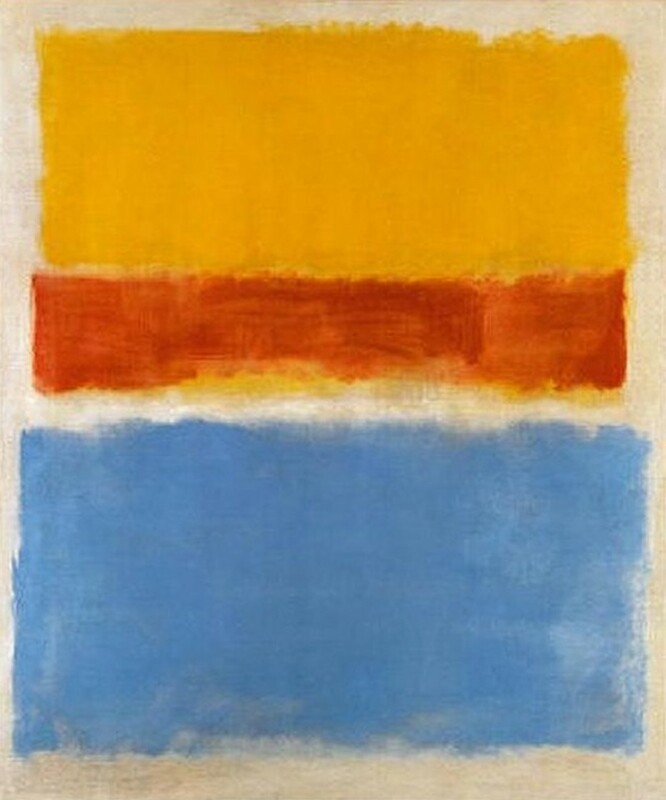 She felt particularly drawn to a work of art known to her from previous visits by the artist Mark Rothko that depicts three bold colors: yellow, red, and blue. After having ordered coffee and having sat by herself at one of the tables in the back of the small café, there was all of a sudden some commotion. People sprang to their feet and crowded near the window that looked out onto the Rue Crémieux where just then several police cars with the sound of their sirens piercing the otherwise quiet afternoon air and flashing blue lights, sped by. While others lingered by the window Yvonne had returned to her table when she noticed that at the neighboring table an open book had been placed on the wooden surface curiously in such manner that the writing faced her instead of the would be reader seated at said table. Inquisitive against her habit Yvonne read one of the first sentences printed on the page. It contained the following words: "Il sommeille en tout homme des facultés grâce auxquelles il lui est possible d'acquérir des connaissances sur les mondes supérieurs." Returning to her cup of coffee and upon pondering these words, Yvonne felt as if a candle had been lit inside her soul and that the cave like space that she now became aware of as being her soul was now being illuminated dimly by the candlelight. Yvonne knew in this instance that she had found something, that she had turned a corner and was now facing a new world, unknown and mysterious, but real. There was no turning back for her. A longing had been awakened and with a new determination previously unknown to her, Yvonne went out into the streets as if a changed person. Years later, having become a Waldorf teacher and a student of Anthroposophy long since, Yvonne remembers this day, her walk down Rue Crémieux and entering the little café, as if it was yesterday. And a print of Rothko's painting adorns one of the walls in her studio ... "
This course focuses on the sixfold path or six exercises presented by Rudolf Steiner in Knowledge of the Higher Worlds and in several other publications by Steiner, namely Theosophy, Occult Science and Guidance in Esoteric Training. These guidelines were originally published in the members' supplement of Das Goetheanum, the Anthroposohical Society's weekly newsletter, Dornach, Switzerland, during the period February 17, 1924 through April 12, 1925. How can we come closer to the words mentioned, the words that stand so to speak at the beginning or we may say at the entrance to Steiner’s work How to Know Higher Worlds? What is the sleeping form? What is the gesture of the sleeping being? We describe this to ourselves and consider it in our mind. We try to become aware of feelings and our inner reaction to the sleeping gesture. What is it that now slumbers, that is now asleep? How is it different from the state of being awake? A sometimes overlooked but quite essential aspect of the exercises is their threefold nature. This threefold nature applies to two different aspects of the six exercises. The exercises address the soul forces of the human being which are: thinking, willing and feeling. The six exercises relate to thinking, willing and feeling first and foremost as each of the exercises addresses one of the soul forces or a combination of soul forces. But there is also a threefold nature to be found in each of the exercises in that each exercise has three distinct successive aspects to it. Firstly thinking, secondly feeling, then willing or movement. Of course one has to also be aware that it is the nature of any exercise that it involves will power. There isn't really an exercise that happens by itself without the human being exerting will forces. Even sitting still and being at rest requires will forces. For example if you practice the control of thinking exercise you concern yourself primarily with thinking, but you do move through a sequence of actions or parts of the exercise that are clearly structured in the following manner. If you engage in the control of thinking exercise you will be asked to complete three parts or aspects in a sequential order. The first part of the exercise involves a focused thinking activity. During the second part you engage in becoming aware of a feeling. Finally in the third part of the exercise you consciously perform a movement, by so to speak moving the feeling from one specific location to another specific location. 2. Create a drawing, painting, poetry or other artwork that relates to the theme of the following: The sleeping form and dreams received upon awakening as described in the introduction in the section above titled Anthroposophy is a Path. 4. Reflect on the period of practicing the exercise. What was your experience? What did you learn? What difficulties did you encounter? The third of the six exercises is named control of feeling. This exercise encourages the awareness and consciousness in regard to our feeling life. Contrary to the previous exercises, the control of thinking and the control of willing, where we are asked to perform the exercise at certain times during our day, with the exercise of the control of feeling we do arrive at a different prospect, namely to live in a certain awareness during our waking life rather than at a particular moment or time period. The exercise is defined clearly in Guidance in Esoteric Training where we find the following. 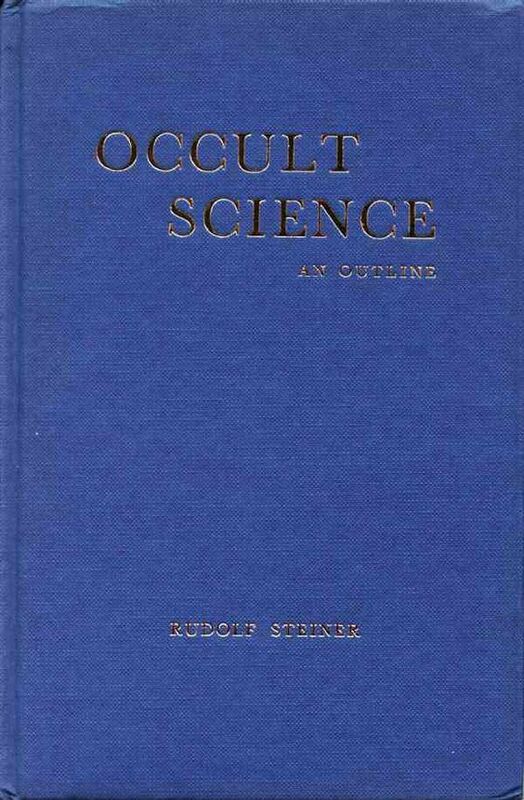 The description of the exercise of the control of feeling in Occult Science is quite comprehensive and tries to clarify a certain aspect of this exercise in particular. We might be tempted to judge this exercise as something that over time will make us dull, sober and perhaps in a certain respect unfeeling. We might hesitate for exactly this reason to work with this exercise, even develop a negative attitude towards the exercise. However, Steiner points out that contrary to the possible assumption that we are supposed to suppress feelings and emotions, this is not the case. It is rather the control over our outward expression of the feelings and emotions that we need to develop. In other words we are allowed to jump for joy and cry out in deep sorrow - but more as an inward gesture or experience than an outward action. Practicing the exercise there are two main ways to approach this exercise. One possibility is to make the attempt to be conscious of the exercise at all times for a period of time, for instance, as suggested by Steiner, for the duration of one month. At all times while being awake we would need to be able to carry in our consciousness the awareness that we are now practicing the exercise. We might soon find that this is difficult and especially difficult when it counts, meaning when we encounter potentially emotional situations where we will likely experience strong feelings. A second approach to practicing the exercise might be more practical and consists of deciding to consciously practice the exercise in certain situations, for instance when engaged in a perhaps emotionally charged conversation. In this case we try to hold in our attention the awareness that we are now practicing the exercise for the length of the conversation or for part of the conversation, say the first ten minutes. During the time of practicing the exercise we pay attention and practice equanimity as described above, being conscious and able to control our outward manifestations of our emotions and feelings. As with many things in life this exercise requires practice, and with practice we do over time become better at it. At first we might simply be unable to stay attentive and will only notice in retrospect that we did not pay attention to our feelings, let alone control our feelings. However, with determination and over time we will notice that we indeed are able to practice the control of feeling, if in incremental steps. For instance we will be able to hold our attention for some minutes - or longer - into a conversation that brings up strong emotions, and consciously decide how to express these emotions in an adequate manner. We need to be aware that we are not being asked to stop experiencing joy, to laugh heartily about a good joke, or feel pain and anguish at the news of hearing of an unfortunate accident that happened to a good friend. What we are being asked to do, is to stay aware and conscious of the feelings as they enter - so to speak - our soul, and then consciously decide how to outwardly express the emotions in a way that we ourselves have chosen. Where previously we might have burst out into uncontrollable laughter or silliness, we now decide to still express our joy and sense of humor, but perhaps more muted, more controlled - but not in a suppression type of response. Similarly we will be able to express grief and sorrow in ways we ourselves have determined appropriate rather than dictated by a force that we might admit is not our true being but perhaps more of a reflex, an instinctual or otherwise unconscious reaction that is uncontrolled by us. Practicing this exercise we will experience over time how we indeed gain more equanimity and balance of soul.